One of the top calls a locksmith receives daily is for a lockout situation where someone has lost their keys and cannot get into their own home. Advancements in technology are changing this, however. In fact, you soon may be able to almost completely eliminate the need to carry a physical key at all. 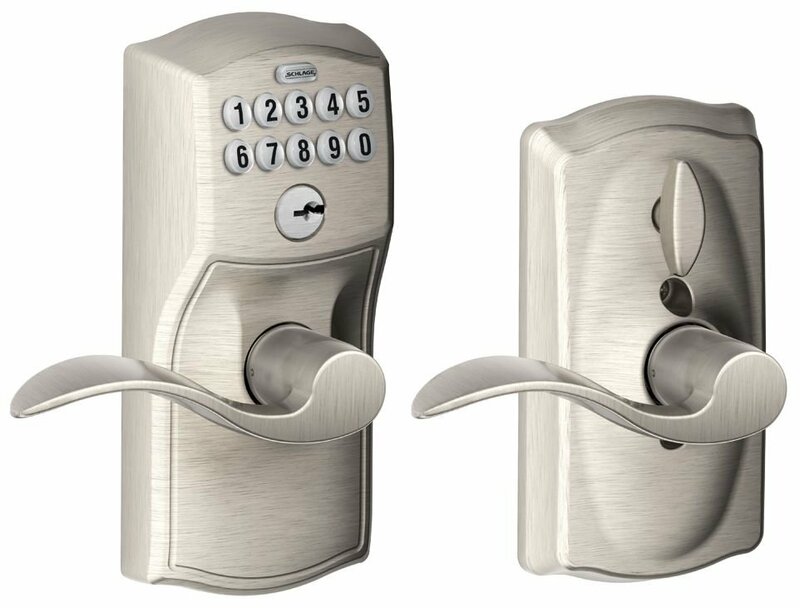 Today, you have several smart locks or electronic keypad locks from which to choose. Imagine being able to enter your home with just a push of a button. Some electronic locks don’t even require your need to remember a passcode, as they use biometric scans of your fingerprint, retina, or face recognition. Essentially, you become the key to unlock your front door. You probably understand how a basic key works with a pin tumbler or deadbolt lock. These locks have kept us safe for years with only a few drawbacks, one of which is when you lose the key. Electronic and keyless entry keypad locks allow you the freedom of never worrying again about losing your keys or the burden of carrying around a cumbersome keychain. You simply enter a number code that can be changed whenever necessary or gain entry through use of a biometric code. These locks operate through the use of an electrical current or batteries. In addition to not having to keep track of a physical key, these electronic locks work great for allowing children to let themselves in after school or to assign a separate code for a dog walker or cleaning crew to use. Smart locks tend to be fairly easy to install and extremely easy to use. Most models light up for you to see more clearly in the dark, and they come in many different styles to custom design for personalized installation on your home and personal preferences. In fact, there are so many benefits to using smart lock technologies that the only potential problems with using electronic locks are minimal, such as if an electrical circuit is interrupted or batteries wearing out and needing to be replaced. Depending on the model you choose, the biometric code could fail to be either too accepting or too exact. Thankfully, these issues generally tend to be rare. Though, with any technology, there is often a learning curve or time needed to adjust to a specific make, model, or design of the electronic keypad or smart lock technology. Just be sure to select a brand that offers reliable customer service, and it doesn’t hurt to have a knowledgeable and skilled locksmith on hand to call if you ever run into trouble. Some of the best selling brands include August Smart Lock that is smart home compatible with Apple HomeKit, Xfinity, and Nest. It connects through Bluetooth technologies and offers an optional number pad with unlimited code possibilities and a convenient app. It works as a deadbolt and offers a feature that automatically locks or unlocks the door when your arms are full and alerts you when you leave the door open. The model offers you the option of adding a keypad or a doorbell camera as well. One of the best value electronic locks is the Schlage Connect Touchscreen Deadbolt. This lock offers top-notch security at a budget-friendly price. It is compatible with Alexa and comes with a number pad that offers up to 30 codes. Currently, there is not an app for this lock, but it can be connected for remote control through a smart home hub. It also offers the highest security ratings and sounds an ear-piercing alarm if someone tries to break in. The Yale Real Living Key Free Touchscreen Deadbolt T1L is another very good option for a keyless entry lock. Besides its small, unobtrusive design, one of its nice features is that the lock can use a 9-volt battery for emergency access if the battery should fail. This lock is compatible with Alexa, Samsung SmartThings, and Wink and uses Z-Wave connectivity. For biometric smart lock technology, ENTR from Mul-T-Lock allows you to use your fingerprint as your key. For backup, you can also use a key for or an app. This lock design will automatically lock if the door is closed for a few seconds, so you don’t even have to remember to lock up. With so many options available to keep you and your home secure without the worry of ever losing your keys again, why not consider a smart lock or a keyless entry with an electronic keypad? Contact one of our local professional locksmiths to get started with selecting the best lock option for your specific needs and budget.